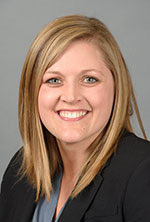 Allison first became interested in the areas of estate planning and elder law while working as a law clerk for an estate planning attorney during law school. There,she witnessed the struggle of family members whose loved ones did not make plans for when they passed or became disabled, and gained an appreciation for the importance of planning ahead. Her experience at that firm led her to focus her law school studies in the areas of taxation and estate planning, and included pro bono work with the Wills for Heroes program. Allison earned her J.D. from the Sandra Day O'Connor College of Law at Arizona State University and a B.A. from Binghamton University. She is a native of Columbia County and currently resides in Niskayuna with her husband, James adn their young son, Kalan.